We get it—everyone loves a great flannel shirt. It’s soft, comfortable and perfect for the cooler temperatures. 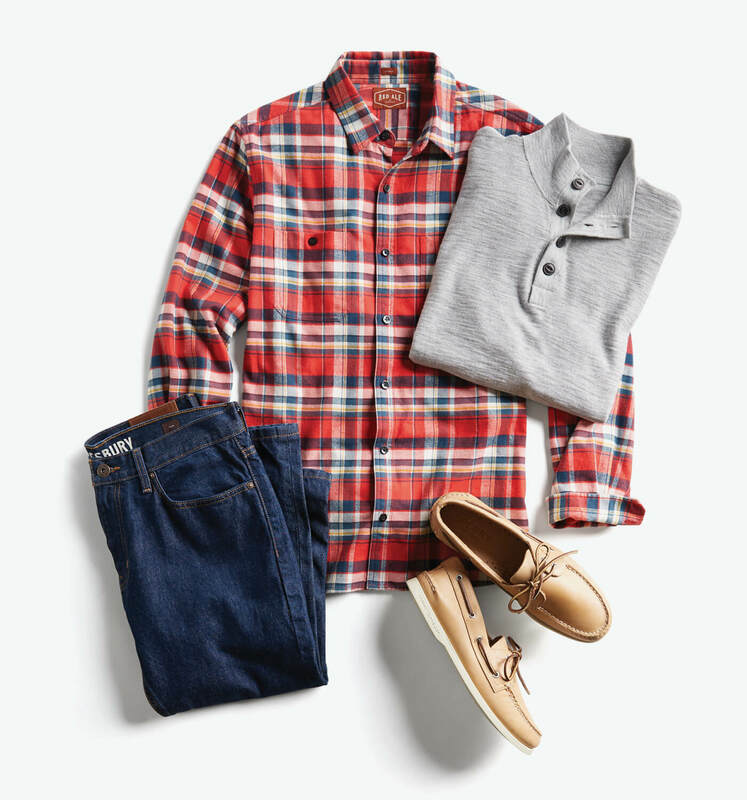 No longer reserved for camping trips, flannels are casual closet-pleasers that can be worn with jeans, chinos, corduroys and even shorts, as well as a variety of shirts. When in doubt, flannel is a solid yes for nearly every casual outfit opportunity. Keep reading for tips on styling your favorite flannels. Lightweight knits like henleys and front pocket t-shirts are a great base for flannels. Layer a plaid flannel over a solid tee, or a try a solid flannel over a graphic or printed knit. Add colored denim or chinos in a deep tan, burgundy, or olive green hue to keep the look seasonal. 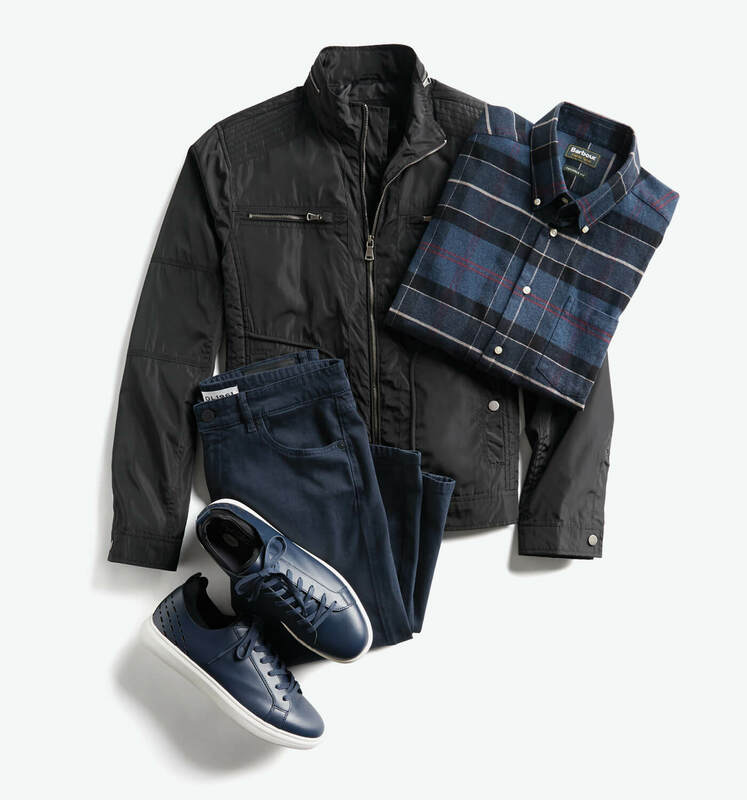 Dial up the cool factor as temps plummet by wearing your favorite flannel with Chukka boots, chinos and a modern bomber or utility jacket. The result? A look that’s true to your outdoorsy comfort preferences but stylish enough to wear out for a dinner date or kicking back at the local fall festival with your family. 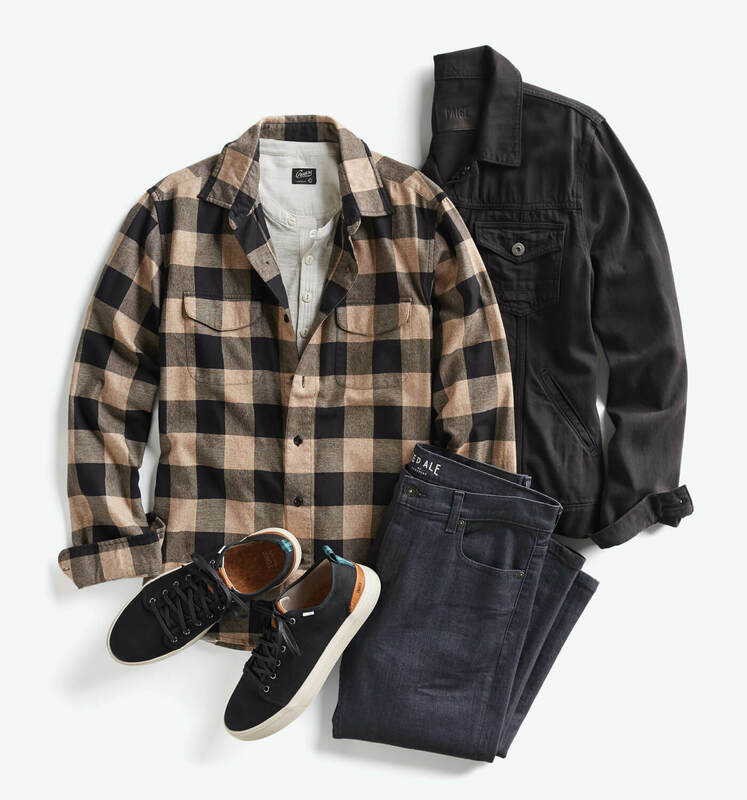 Stylist Tip: Not a full flannel convert yet? Keep your flannel understated by choosing outerwear with soft flannel lining on the inside. When the fall chill fills the air, stay warm by layering a long sleeve performance knit under your flannel and then topping the two with a quilted puffer vest. Not really into vests? Wear your flannel underneath a cotton sweater and let the collar and hem stick out from the top and bottom with the sleeves cuffed for an artfully messy appeal underneath a coat or wool jacket. Decide you’d like to give some new flannel a try? Schedule a Fix and let us know you want to lumberjack it up this season.